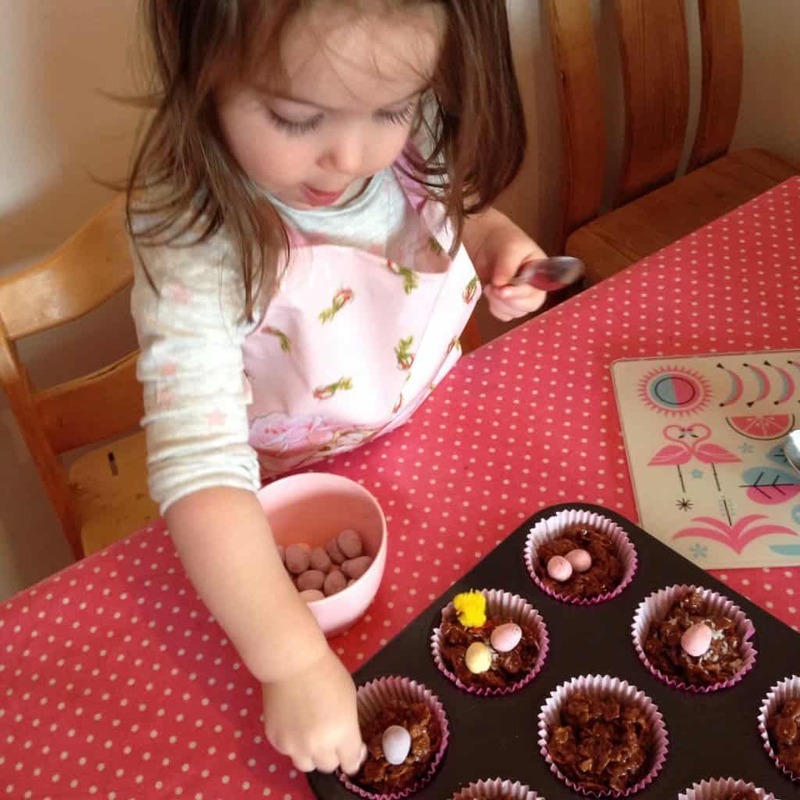 We’ve been busy in the kitchen, making some super-easy (and very, very yummy) no-bake Easter treats. 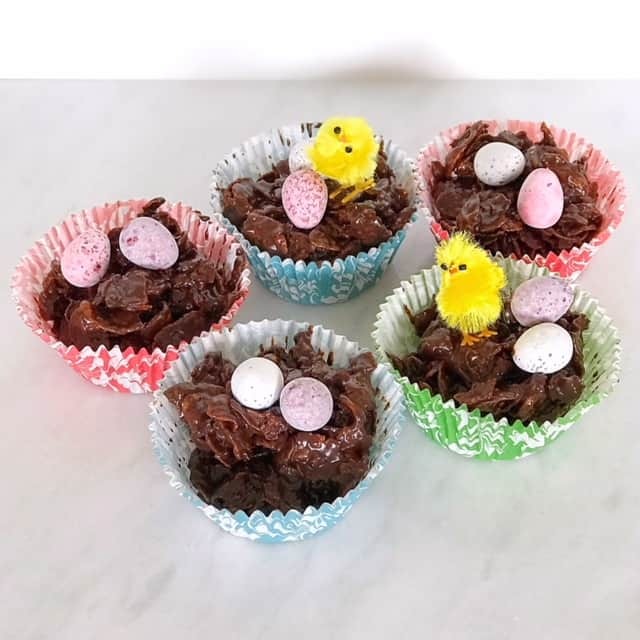 Chocolate cornflake Easter nests, with Cadbury’s Mini Eggs, are great to make with kids. 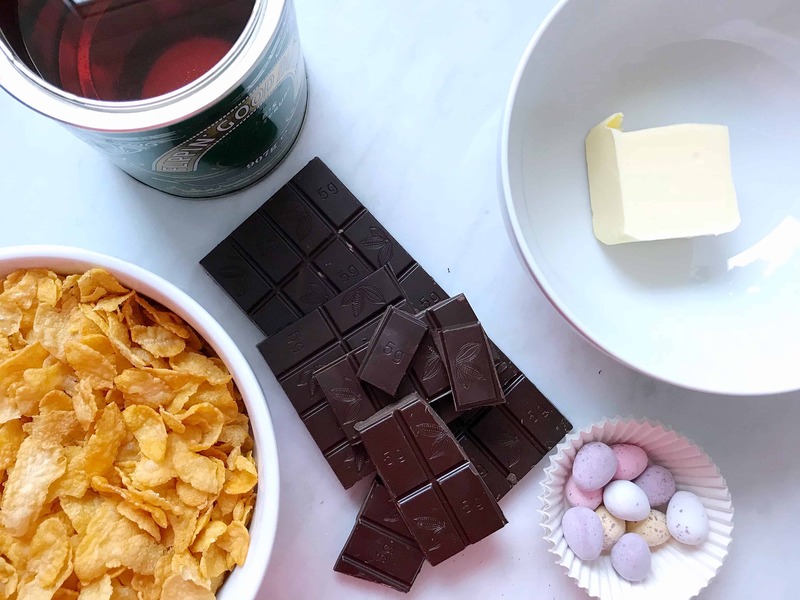 Of course you can just melt chocolate and mix it with cornflakes, but my recipe is a more gooey version that makes them extra special. 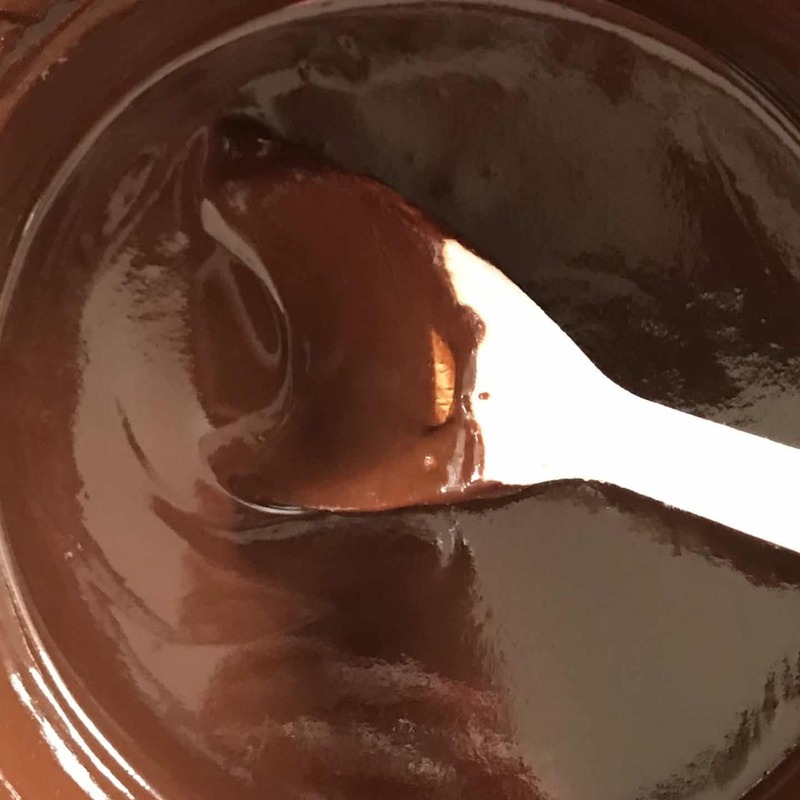 Just gently melt a 200g bar of chocolate – milk or plain both work well, but kids tend to prefer milk chocolate in my experience. 50g butter and 3 tablespoons of golden syrup together. I did this very slowly in a saucepan over the hob, but it’s probably better to do it over a simmering pan of hot water. 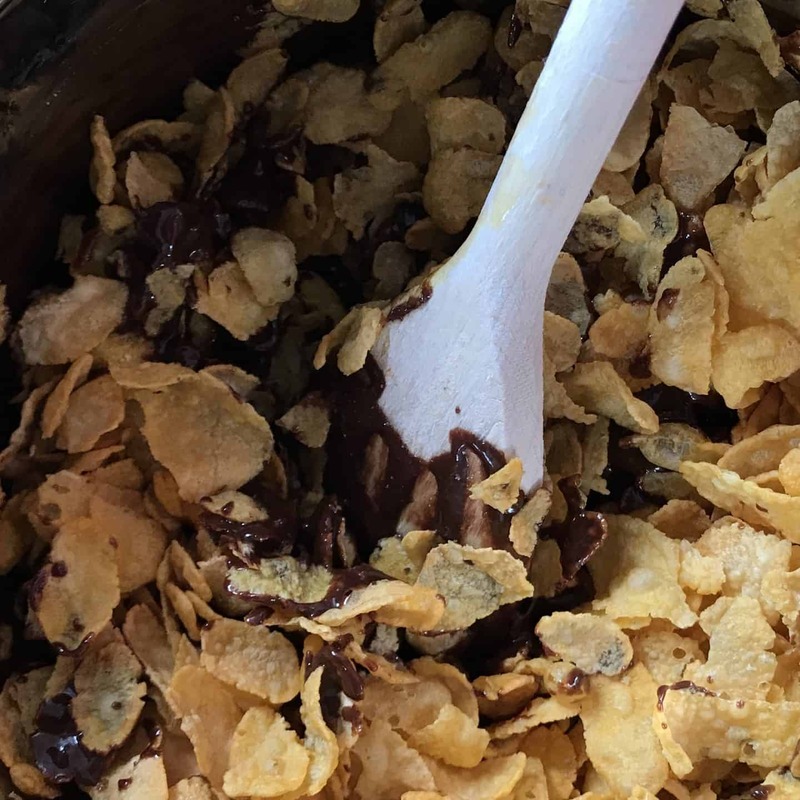 Stir in 100g of cornflakes and you get this gooey, crunchy load of deliciousness. This mix makes enough for around 12 good sizes nests. 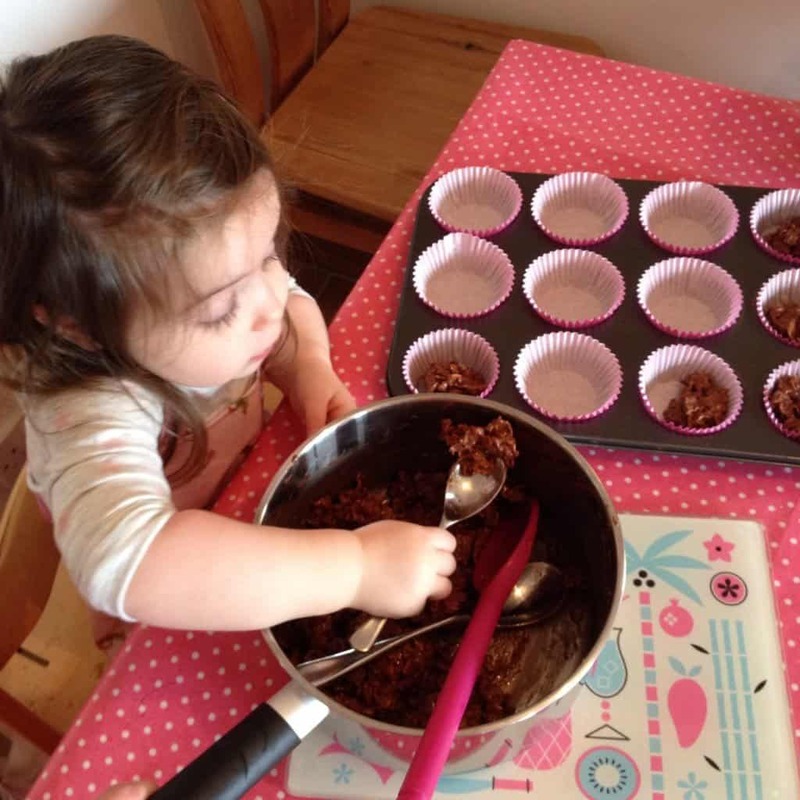 Melt the chocolate, butter and golden syrup together. 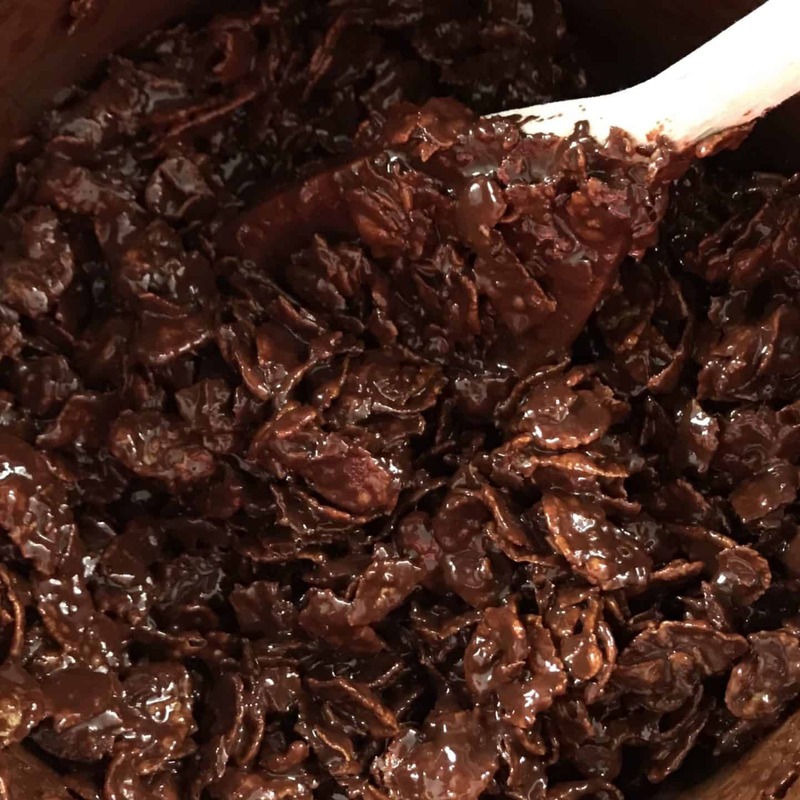 Mix cornflakes into the chocolate mix. Pop the mix into to cases and leave to set. I also added in some flakes of sea salt, as we all love a bit of chocolate and salt, mmmm. Next just scoop the mixture into 12 paper cake cases. 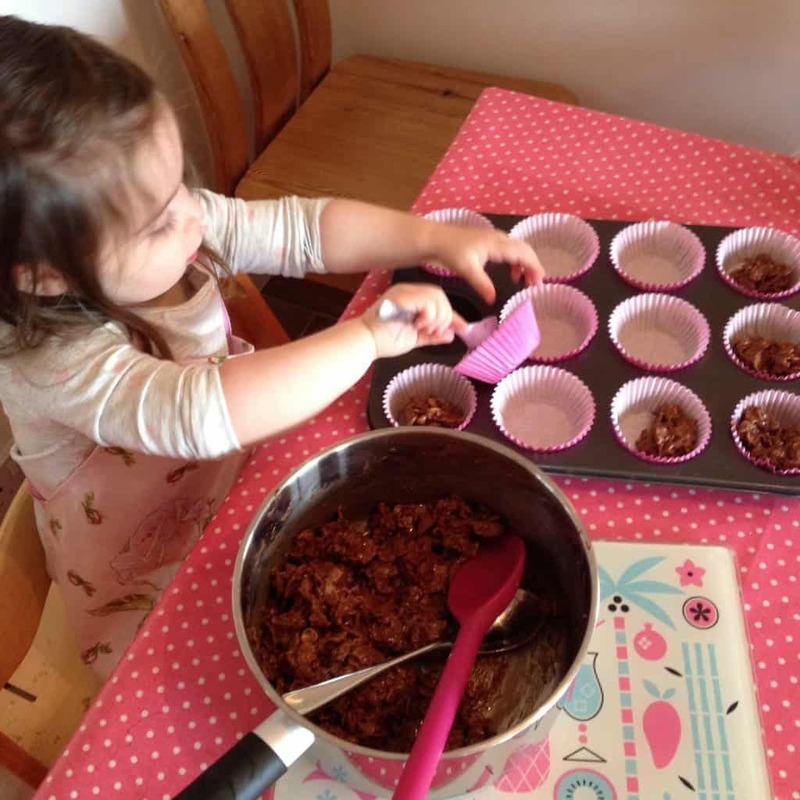 I put them into a muffin tin to help them keep their shape, and to a make it easier for the girls to fill them. 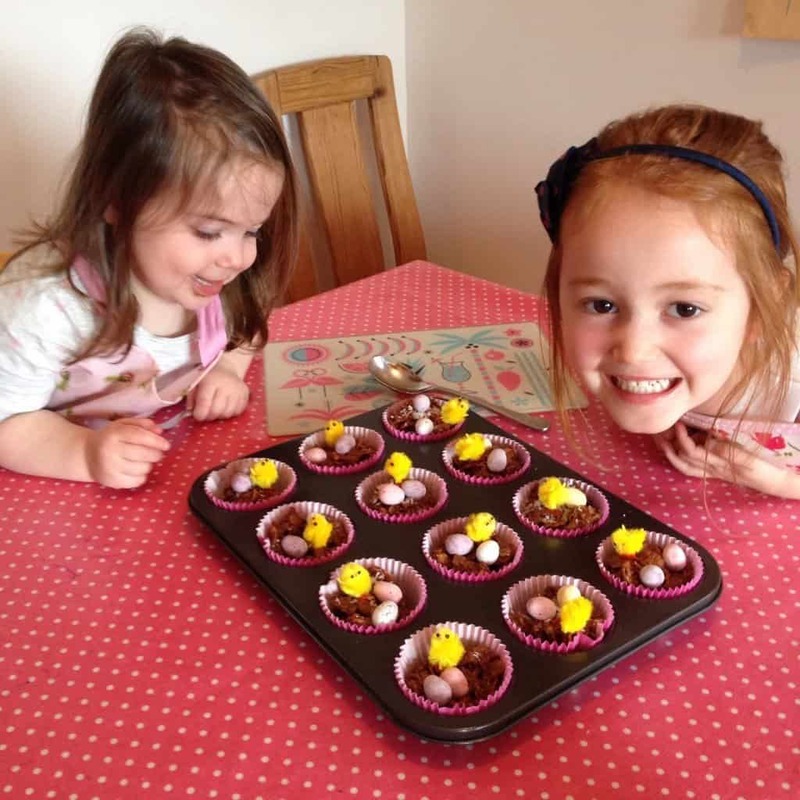 Ava and Thea were keen to help! 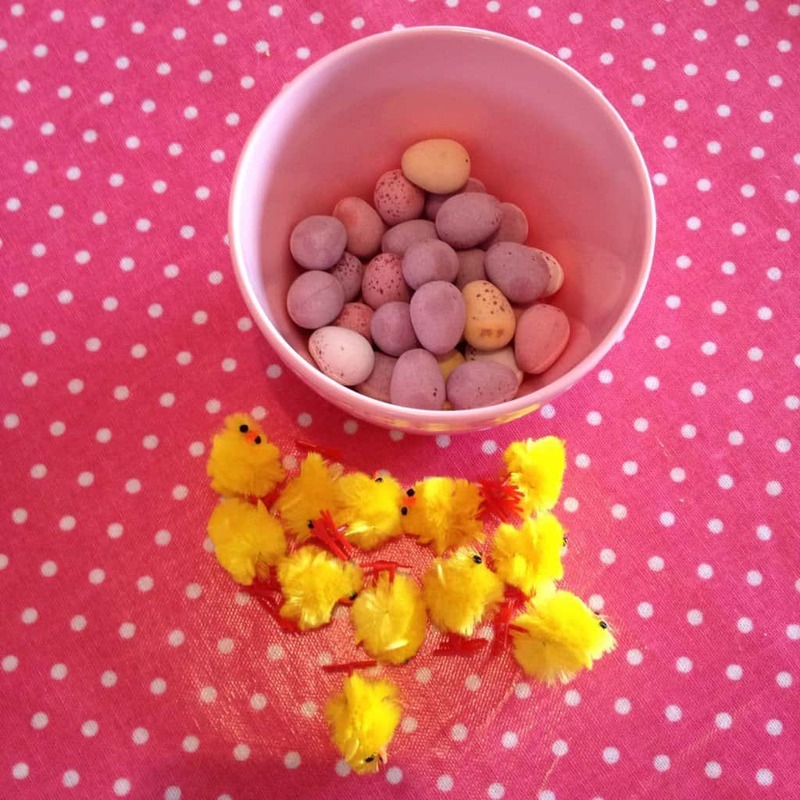 Finally, add a couple of Mini Eggs and a chick and your nests are good to go. You could also add on a sprinkle of desiccated coconut if you like. 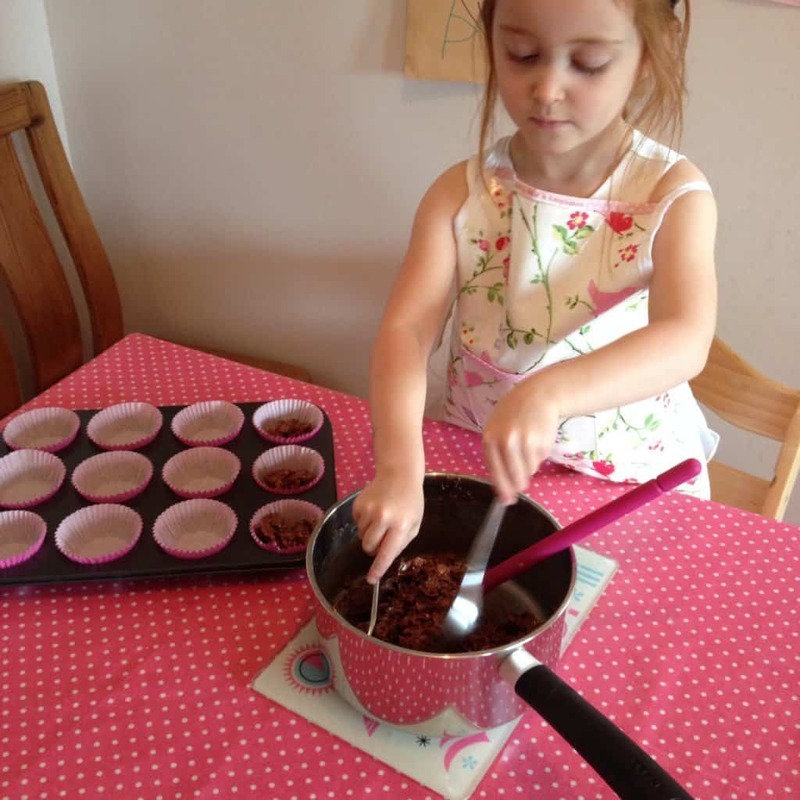 Thea loved squashing the eggs into the nests, so I thought I’d better do the chicks myself! 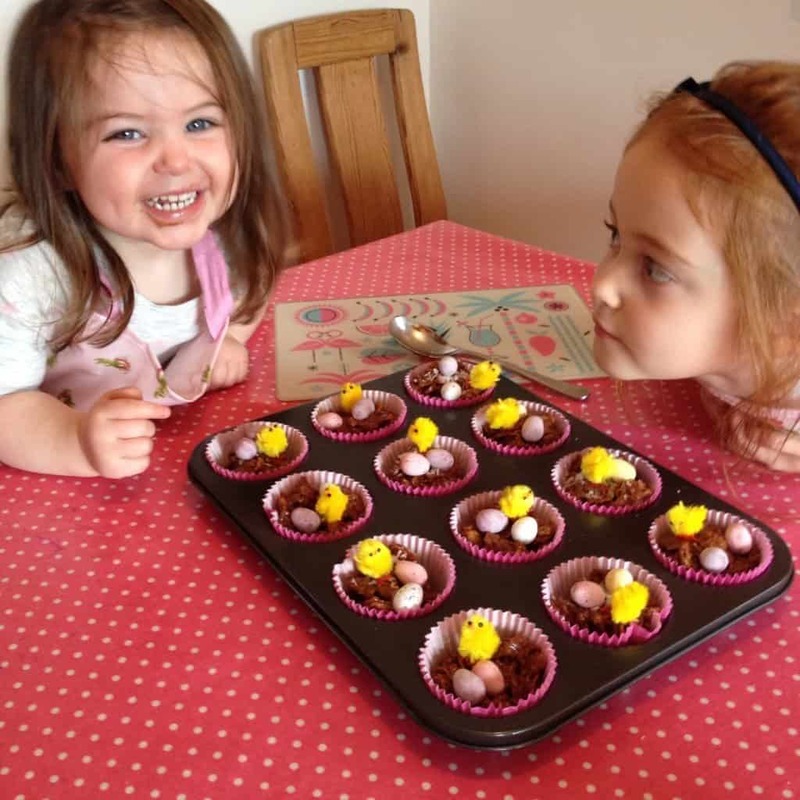 The girls were very proud of their chocolate cornflake Easter nests. And so am I! The house smells lush too. 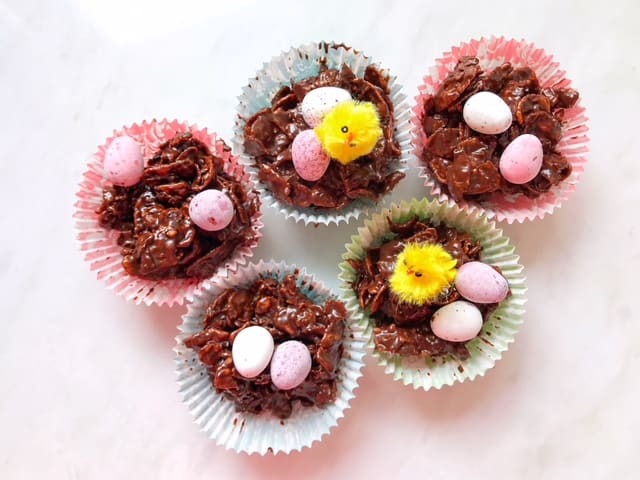 Have you ever made chocolate cornflake Easter nests? If not, why not Pin this recipe for later?